Throughout the Gospels – indeed throughout the Bible – the people of God are called to participate in God’s work toward the betterment of the world. We are invited to be a part of the transforming work that God is already doing. 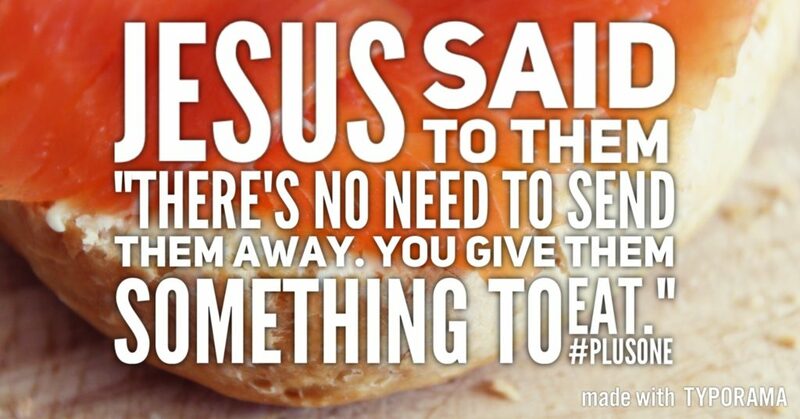 This is highlighted in the famous story of Jesus feeding the 5000 in the Gospel of Matthew. 18He said, “Bring them here to me.” 19He ordered the crowds to sit down on the grass. He took the five loaves of bread and the two fish, looked up to heaven, blessed them and broke the loaves apart and gave them to his disciples. Then the disciples gave them to the crowds. 20Everyone ate until they were full, and they filled twelve baskets with the leftovers. 21About five thousand men plus women and children had eaten. We often look at the concept of service in helpful ways like our Wednesday night Project Grace, our Interfaith Shelter, or some of our other service ministries (more details can be found here). And we must also remember the many additional ways we may be in service both alongside and within our faith communities. During this past Sunday’s worship gathering, we discussed that giving of our service had could have both an outward focus and an inward focus. Inspired by our scripture (see above), we listed many ways to be in service and I suggested that some of our inward focused opportunities could lead to outward focused service. Follow-up: One of our members gave me a bulletin for a worship service she attended while on a recent vacation. In the bulletin, she pointed out a phrase naming that congregation as a “Progressive Christian Church.” While I don’t intend to discuss the values or risks of such a naming of this congregation – surely worth conversation, just not now – I did want to point out one element related to this. A phrase many Progressive Christians might align with is this: the way we behave towards one another is the fullest expression of what we believe. As we make choices about how we serve our God and our neighbors, do these choices express what we believe?